In the last decade alone, the face and nature of the job market have evolved dramatically. It's now a given that personal branding will have a significant impact on your professional opportunities. It's not an exaggeration that your brand and reputation could make - or break - your career. In order to connect with new employers and clients and transform your potential into success, you need to establish your unique digital identity, build strong relationships with your audience(s), and gain visibility for all the right reasons. "Do you have any notes for me?" Actors always ask for notes on their performance, and they will take them from just about anyone. Ron Marasco's Notes to an Actor grew out of the actor's profession. In his years as an actor, scholar, and teacher of acting, Mr. Marasco found that most acting books were either outdated classics that were rarely read, or quasi-textbooks that actors only "skimmed." So he developed Notes to an Actor, a compact, user-friendly audiobook geared specifically to the way actors work. As a casting director for 23 years, Holly Powell witnessed the casting world from three different points of view: as an independent casting director, as head of casting for a studio, and as a network casting executive. 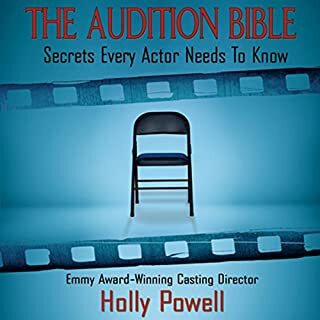 From this unique perspective she formed Holly Powell Studios, with her mission being to demystify the audition process for actors. Golden Nugget Ater Golden Nugget. For many years, she was asked to write a book. Finally she did, and here it is: an account of her own struggle with the techniques of acting and based on her teachings. 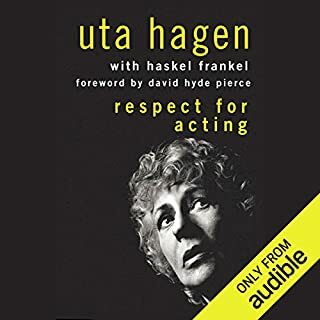 Respect for Acting is a book for people who respect (or wish they could) the theater on both sides of the footlights, for actors and audiences who favor truth in a creative process. Philip Carlson was the first agent to sign Phillip Seymour Hoffman, Billy Crudup, Liev Schreiber, Claire Danes, Idris Elba, Kyra Sedgwick, Adrien Grenier, and Paul Giamatti. He has represented Viola Davis, Kathy Bates, Brian Dennehy, and W.H. Macy among many and gifted others. He shares his practical trade secrets in this extraordinarily comprehensive guide on how to get into show business. An invaluable reference for anyone who is a working actor, or wants to be. Learn how to make it in the day-to-day business of acting and stay sane and focused while attempting to merge art and commerce. 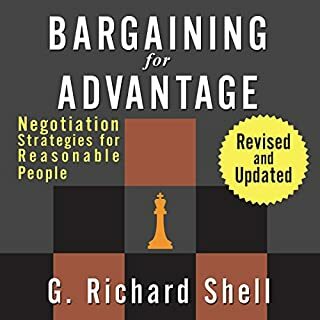 This audiobook covers everything the author wishes someone had told him about how casting decisions are made, what rejection really means, how to behave on a set, the two factors the business is built on, and much more. Markus Flanagan offers encouraging, highly useful pointers on such vital matters as: How do you combat getting typed? An Actor's Business covers everything you need to know to market yourself as an actor, with thorough and concise information about the movie-making process, drama school, community theatre, acting on television and in commercials, unions, and agents. A thorough and well-written resource for anyone wanting to understand all facets of the acting business, this book presents an experienced perspective on the world of professional acting. Great advice and descriptive structure of the industry. Instead of starting with what is real and trying to wrestle that onto the screen, Patrick Tucker explains how to work with the realities of a shoot and work from there toward the real. His step by step guide to the elements of effective screen acting is an extension and explanation of a lifetime of work in the field, containing over 50 acting exercises and the tried-and-tested screen acting checklist. Do you use your voice for work? Do you want to become a better voiceover actor, singer, or public speaker? This book, written by well-known and respected voice talent Rodney Saulsberry, contains fun and challenging tongue twisters and vocal warm-ups that prepare you to read commercial, promo, narration, trailer, and animation copy with the proper energy and vocal dexterity. Learn how to deal with mouth clicks and sibilance issues, breathe correctly, control plosive words, and master microphone technique. Here's a personal growth guidebook that's won the admiration and recommendation of Ted Hughes, poet laureate of England. He calls this "a brilliant, practical guide to awakening and training our vast, unused resources of intelligence and ability". Author Michael Gelb, founder of High Performance Learning and consultant for companies including AT&T and National Public Radio, says that we all can unlock the "da Vincian" genius inside us. Creativity Is The Key To Everything You Desire. Extended and unplugged is the advanced level version of Amy Lyndon's internationally recognized 15 guideline map to booking technique. The Lyndon Technique is the secret weapon for 40+ network series regulars, an Emmy winner, an Imagen Award winner, thousands of working actors around the globe, and at universities for more than 20 years! Simple, straightforward advice from both sides of the microphone on becoming an audio book narrator - what it takes and how to do it! Sales and production of audio books are booming. It seems that in our busy, multitasking lives, people are hungry for more and more recorded books. 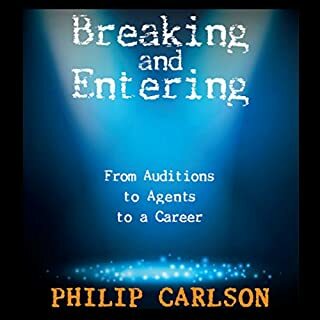 In this audio book, two of the best in the business - award-winning narrator and member of the Audible Narrator Hall of Fame Lorelei King and award-winning and Grammy-nominated producer/director Ali Muirden - tell all about what goes into audio book narration and what you can do to prepare yourself for a career in this industry. In seven years of blogging only to the community of voice actors, specifically on the subject of voice acting, I've educated myself and others on the challenges of being a freelance voice artist. My first diplomatic answer to my caller is: being a success in voice acting requires more than just a voice. I've had to gingerly explain the real secret to voiceover success so often that it became clear: somebody needed to tell the truth about being a voice-actor. It's hard work! It's a business and should be approached as a business. A Goldmine of Voiceover Information! 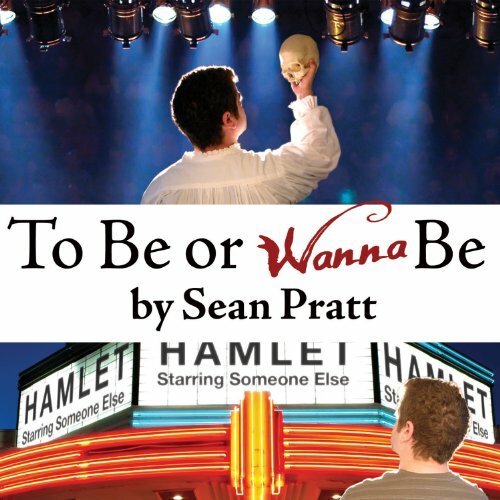 Created as a primer for the beginning actor, To Be or Wanna Be takes you on a journey that reveals the path to becoming a successful actor, as well as how to avoid the pitfalls of the starving artist. Beginning with the simple, yet important distinctions of how to take control of your career, and through personal anecdotes of how he discovered them, Sean Pratt guides you toward the more complex and powerful concepts that will make all the difference in your future success as an actor. Covering topics such as finding the right day job, networking, becoming the CEO of “Your Career Inc.”, and marketing to the right niche, each idea is accompanied with a “How-To” section and additional resources that will propel you forward on the road to success in your acting career. This book is filled with so much common-sense and vital practical advice that any aspiring performer should listen to it if they want to start their careers on the right track. Sean Pratt is easy to listen to and I had a sense of him sitting chatting with me instead of him reading aloud. Thoroughly enjoyed it. I as a voice-actor and my actor-in-training son will most definitely benefit from listening to Sean's wise words. Thank you Sean. This was interesting and educational. I felt strong in some areas, and in the ones where I have more to learn, I felt that very practical advice was presented. I'm excited to learn more from this excellent coach. Content is well thought out! I'll be listening again...and again..
Chock full of real and relevant steps to improve as an actor, and a business person. Definitely looking forward to listening again. I'm sure I'll learn something new with each lusten. Love the tips that help avoid becoming a starving artist. Excellent performance by Sean Pratt. The author's commitment to life as an artist and performer aren't at question here - the life of an artist seems to have chosen him. This books, then, sets out to explain how Sean went on to achieve a balance in life where he could be a happy and successful actor, and not a frustrated, starving artist. Sean masterfully weaves in his own personal story with clear guidance and recommendations. 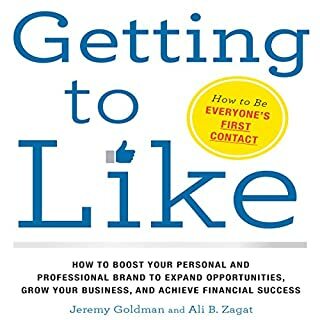 It's a fascinating read even for those not aspiring to be successful performers, though if you are looking for guidance, I would start with this book. Parents- but this for your starving artist! Full of tips and nuggets of wisdom. This book should be required reading for any student of the arts. In fact, I would recommend it for anyone looking to freelance, no matter the industry. From creating a budget, goal setting to feeding your soul, Pratt drops a lot of great info in an entertaining and insightful way. He has been there/done that and the listener can learn from his mistakes and successes. The book also includes action steps saying I want to reflect on, which is why I will keep it in my library of will-listen-again audiobooks. 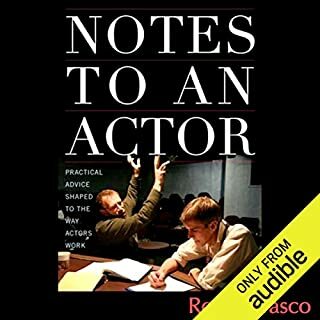 This audiobook takes just a few hours to listen to but the amount of information Sean shares can take you several hours to work through if you are serious about being the best you can be...actor or entrepreneur. Sean lived the actor life and shares his life lessons so you can save time, and headache, and hopefully reach your acting goals. Sean Pratt narrating his own book is pure gold, and so is the content. If you're struggling as an artist, this gives you actionable steps to take that can help you succeed. Chocked full of important advise any creative professional needs to know, but too often ignores. Sean Pratt gives solid examples of how actors can implement these habits and all work for any creative with some slight modifications for some. Sean delivers the story with smooth and friendly narration that keeps the listener's attention and helps the listener absorb the information. I recommend listening to him for anything you want to learn, but are afraid you will be bored with because he can really bring any subject to life. My only complaint, which is minor and probably a personal issue, is that there is a heading in the middle of each chapter ("So...Let's get started") that when written is fine, but when spoken would jar me out of the book because of the repetition. Phinominal book very intuitive a life long keeper for any actor!!!! Great focus on helping u improve! !